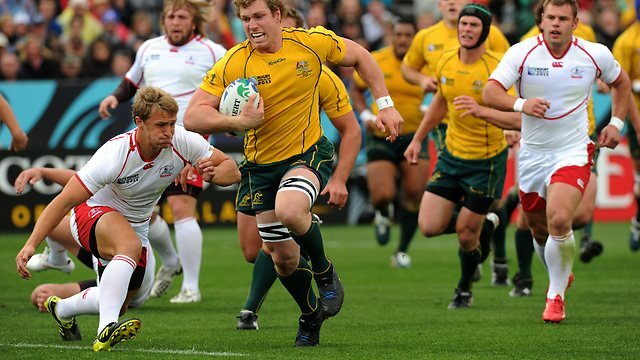 There are many skillful rugby players who have shown their extreme talents in the last season on the rugby field. Starting from the legendary players like Yuri Kushnarev or Federico Nicolas Sanchez, till the newcomers who officially turned pro a couple of years ago, all the players tried their best to achieve a great height of success through the current year’s performance. Our team minutely followed all the basic statistics like percentage, points, tries, etc., while selecting the inductees of this season’s rugby hall of fame. 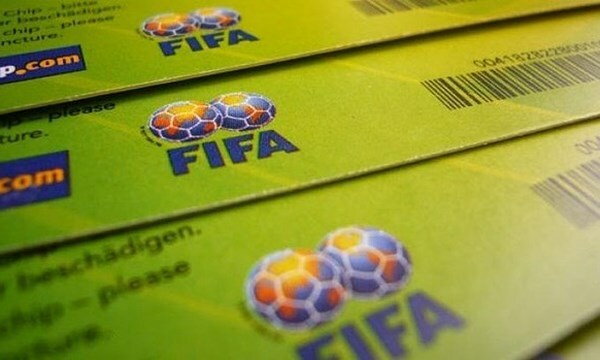 The performances of the players at major tournaments also played a key role at the selection of the hall of famers as the recent rankings were also kept in mind by our team while carefully selecting the players. So here is the Rugby Hall of Fame 2015. Japanese rugby union fullback Ayumu Goromaru plays at Japan national rugby union team and also for the Yamaha Júbilo rugby union team in the Top League. He is the third youngest player of all time to play for Japan national team at the age of just 19. In the last season of international Rugby, starting from 1st January 2014 till date, Goromaru played a total of 8 matches for his team while placed in starting lineup in all the 8 matches and used as a substitute in no games. His team won 8 of the matches last season and lost no rugby matches with a success percentage of 100.00%. Goromaru reached a total of 162 points in the last season of rugby but achieved no drop goals. He scored a total of 2 tries, a total of 49 conversions and also scored 18 penalty goals. 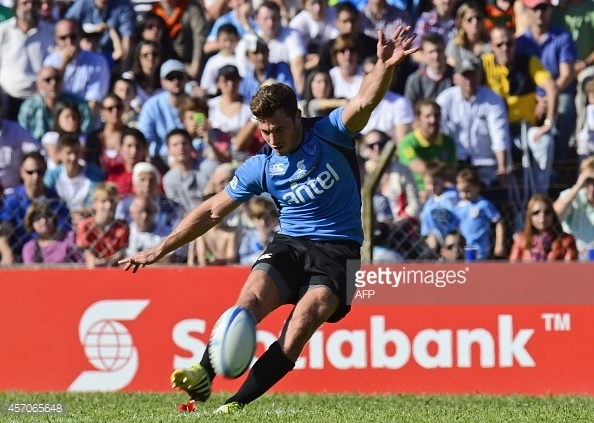 Argentine rugby union fly-half footballer Federico Nicolas Sanchez plays at Argentine national rugby union team. After his debut for Pampas XV in the Vodacom Cup, he moved to Bordeaux in the French rugby union league Top 14 in 2011. Sanchez plays for RC Toulonnais in the 2014-15 rugby seasons. In the last season of international Rugby, starting from 1st January 2014 till date, Sanchez played a total of 10 matches for his team while placed in starting lineup in all the 10 matches and used as a substitute in no games. His team won 2 of the matches last season and lost 8 rugby matches with a success percentage of 20.00%. Sanchez achieved a total of 94 points in the last season of rugby and achieved 1 drop goals. He scored a total of 1 tries, a total of 16 conversions and also scored 18 penalty goals. Russian rugby union fly-half footballer Yuri Kushnarev plays at Russian national rugby union team and was inducted in the Russian squad for the 2011 Rugby World Cup. 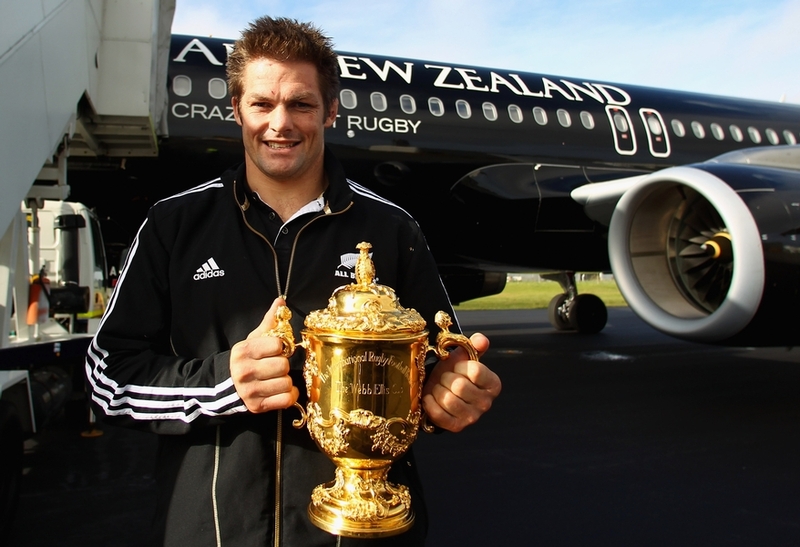 He recently retired after the Uruguay vs. Russia Rugby test match at Montevideo in 11th October, 2014. In the last season of international Rugby, starting from 1st January 2014 till date, Kushnarev played a total of 9 matches for his team while placed in starting lineup in all the 9 matches and used as a substitute in no games. His team won 5 of the matches last season and lost 4 rugby matches with a success percentage of 55.55%. Kushnarev obtained a total of 92 points in the last season of rugby but achieved no drop goals. He scored a total of 2 tries, a total of 11 conversions and also scored 20 penalty goals. 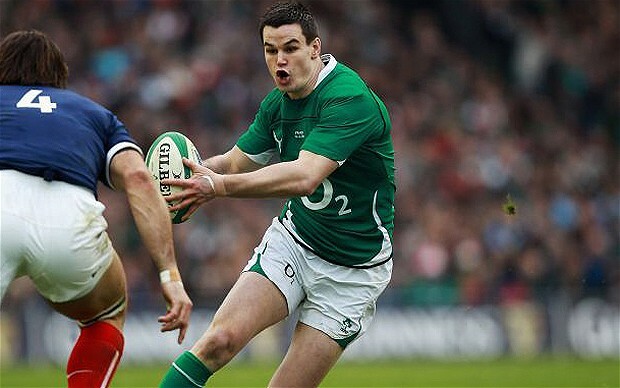 Irish rugby union fly-half footballer Jonathan ‘Johnny’ Sexton plays at Irish national rugby union team and also for Racing Métro 92 in the French rugby union club league. He played for one of the four Irish provincial rugby teams named Leinster from 2006 to 2013. In the last season of international Rugby, starting from 1st January 2014 till date, Sexton played a total of 7 matches for his team while placed in starting lineup in all the 7 matches and used as a substitute in no games. His team won 6 of the matches last season and lost 1 rugby match with a success percentage of 85.71%. Sexton gained a total of 90 points in the last season of rugby but achieved no drop goals. He scored a total of 5 tries, a total of 10 conversions and also scored 15 penalty goals. Romanian rugby union Utility back Florin Adrian Vlaicu plays at Romania national rugby union team and also for Bucureşti in Romanian rugby league. He recently retired after the Romania v Emerging Ireland Rugby test match at Bucharest in 22nd June, 2014. In the last season of international Rugby, starting from 1st January 2014 till date, Vlaicu played a total of 8 matches for his team while placed in starting lineup in all the 8 matches and used as a substitute in no games. His team won 6 of the matches last season and lost 2 rugby matches with a success percentage of 75.00%. Vlaicu gained a total of 90 points in the last season of rugby but achieved no tries. 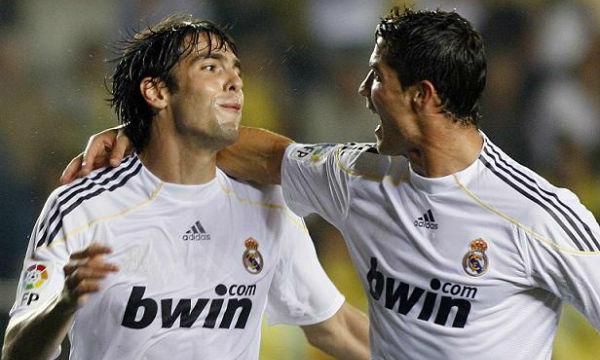 He scored a total of 5 drop goals, a total of 15 conversions and also scored 18 penalty goals. 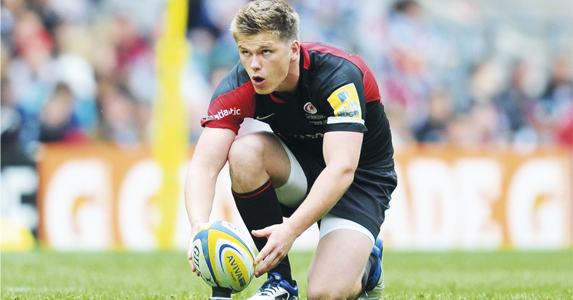 English rugby union Fly-Half and football Centre Owen Andrew Farrell plays at England national rugby union team and also for Saracens rugby club in English rugby union league Aviva Premiership. Farrell also played for British and Irish Lions in 2013 rugby season. In the last season of international Rugby, starting from 1st January 2014 till date, Farrell played a total of 6 matches for his team while placed in starting lineup in all the 6 matches and used as a substitute in no games. His team won 4 of the matches last season and lost 2 rugby matches with a success percentage of 75.00%. Farrell gained a total of 76 points in the last season of rugby but achieved no drop goals. He scored a total of 1 tries, a total of 16 conversions and also scored 13 penalty goals. Georgian rugby union Fly-half and occasional Fullback Merab Kvirikashvili plays at Georgian national rugby union team and is the all-time leading points scorer for Georgian team. Kvirikashvili also represents the Georgian national rugby sevens team. In the last season of international Rugby, starting from 1st January 2014 till date, Kvirikashvili played a total of 5 matches for his team while placed in starting lineup in all the 5 matches and used as a substitute in no games. His team won all 5 of the matches last season and lost no rugby matches with a success percentage of 100.00%. Kvirikashvili reached a total of 76 points in the last season of rugby and achieved 1 drop goals. He scored a total of 3 tries, a total of 8 conversions and also scored 14 penalty goals. Uruguayan rugby union Fly-half Felipe Berchesi is playing the 2015 Rugby World Cup qualifiers for the Uruguaya national rugby union team. Berchesi also plays for the SO Chambéry rugby club at the French rugby league Fédérale 1. In the last season of international Rugby, starting from 1st January 2014 till date, Berchesi played a total of 5 matches for his team while placed in starting lineup in all the 5 matches and used as a substitute in no games. 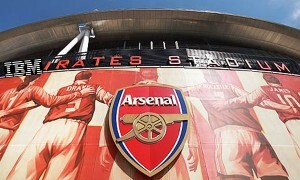 His team won 2 of the matches last season with 1 draw and lost no rugby matches with a success percentage of 50.00%. Berchesi gained a total of 75 points in the last season of rugby but achieved no drop goals. He scored a total of 1 tries, a total of 5 conversions and also scored 20 penalty goals. Australian rugby union Fly-half and occasional Fullback Bernard T. ‘The Iceman’ Foley plays at Australia national rugby union team and also played for the Australia Sevens national team. 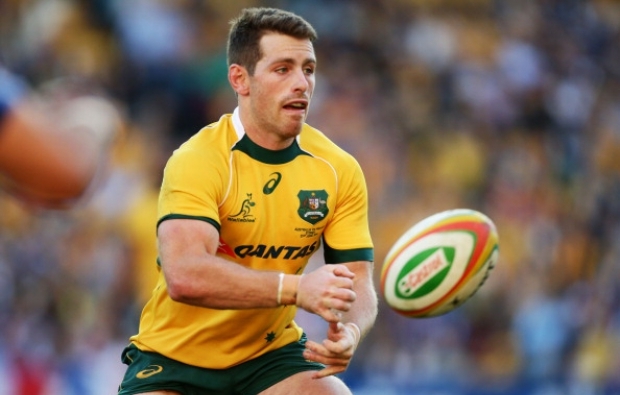 Foley also plays for the New South Wales Waratahs rugby club in Rugby union league Super Rugby. In the last season of international Rugby, starting from 1st January 2014 till date, Bernard played a total of 9 matches for his team while placed in starting lineup in 7 matches and used as a substitute in 2 games. His team won 5 of the matches last season with 1 draw and lost 3 rugby matches with a success percentage of 61.11%. Bernard gained a total of 75 points in the last season of rugby but achieved no tries. 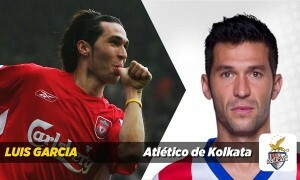 He scored a total of 15 conversions and also scored 15 penalty goals but not able to achieve any drop goals. New Zealand’s rugby union Fly-half Aaron Wiremu Cruden plays at All Blacks New Zealand national rugby union team. 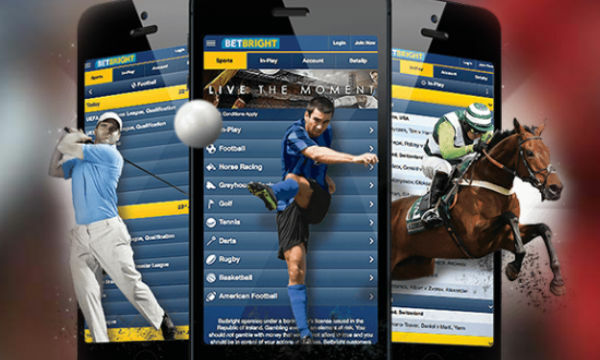 Cruden also plays for the Manawatu Turbos rugby club in the New Zealand domestic championship ITM Cup and for the Chiefs rugby union team in the Super Rugby. In the last season of international Rugby, starting from 1st January 2014 till date, Cruden played a total of 6 matches for his team while placed in starting lineup in all the 6 matches and used as a substitute in no games. His team won 5 of the matches last season with 1 draw but lost no rugby matches with a success percentage of 91.66%. Cruden gained a total of 69 points in the last season of rugby but achieved no tries. He scored a total of 9 conversions and also scored 17 penalty goals but not able to achieve any drop goals. Many amazingly skillful ice hockey players showed their excellent skills in the last season of national hockey league. From newcomers to the regular ones, all the players have tried their best to achieve a great height of success with their sticks on the ice field. Our team carefully chose the inductees of the Ice Hockey Hall of Fame 2015 according to their last season’s performance. We tracked all the statistics of all players from all of the teams participates in NHL while choosing the hall of members of this year. The overall statistics and the individual percentage such as shooting percentage, faceoff win percentage, and average shifts per game also played a key role while selecting this year’s hall of fame inductees. 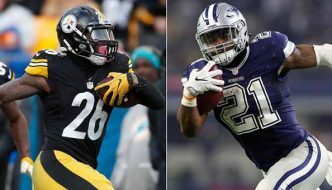 There are so many key players of each team even the captains who deserve to be in the 2015 Hall of Fame as they lead their teams to some amazing victories last season with their game-winning goals. So here is the Ice Hockey Hall of Fame 2015. Canadian ice hockey Centre Sidney Crosby is the captain of the Pittsburgh Penguins of the National Hockey League. Crosby nicknamed “The Next One” and was drafted first overall in the 2005 NHL Draft by the Penguins. He played 80 games in the last season of National Hockey League and scored a total of 104 points with 36 goals and 68 assists, and made the individual goal differential of +18. He scored 38 power play points with 11 power-play goals and also reached 46 penalty minutes. 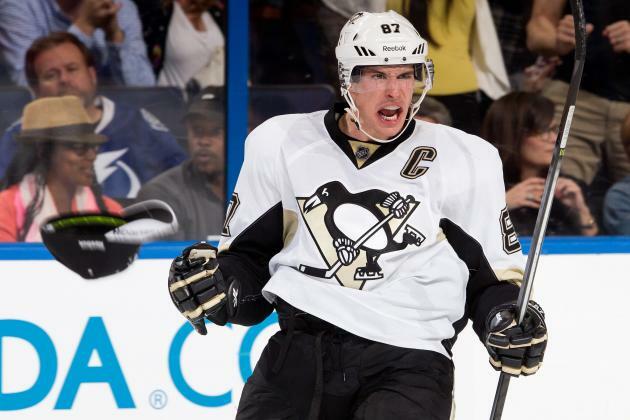 Crosby made no shorthanded points by shorthanded goals last season. He took a total of 259 shots in the last season of NHL and scored 1 overtime goal and 5 match-winning goals while achieving the shooting percentage of 13.9. Crosby spent an average of 21:58 minutes on ice per game and achieved 52.5 faceoff win percentage with 24.0 average shifts per game. 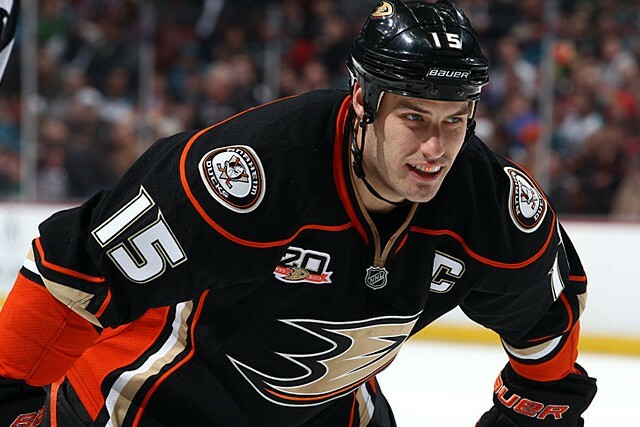 Canadian ice hockey Centre Ryan Getzlaf is the captain of the Anaheim Ducks of the National Hockey League. Getzlaf was drafted 19th overall in the 2003 NHL Draft by the Mighty Ducks of Anaheim. He played 77 games in the last season of National Hockey League and scored a total of 87 points with 31 goals and 56 assists, and made the individual goal differential of +28. He scored 23 power play points with 5 power-play goals and also completed 31 penalty minutes. Getzlaf made no shorthanded points by shorthanded goals last season. He took a total of 204 shots in the last season of NHL and scored 1 overtime goal and 7 match-winning goals while achieving the shooting percentage of 15.2. Getzlaf spent an average of 21:17 minutes on ice per game and achieved 49.0 faceoff win percentage with 25.2 average shifts per game. Canadian ice hockey Centre Claude Giroux is the captain of the Philadelphia Flyers of the National Hockey League. Giroux was drafted 22nd overall in the 2006 NHL Entry Draft by the Philadelphia Flyers. He played 82 games in the last season of National Hockey League and scored a total of 86 points with 28 goals and 58 assists, and made the individual goal differential of +7. He scored 37 power play points with 7 power-play goals and also achieved 46 penalty minutes. 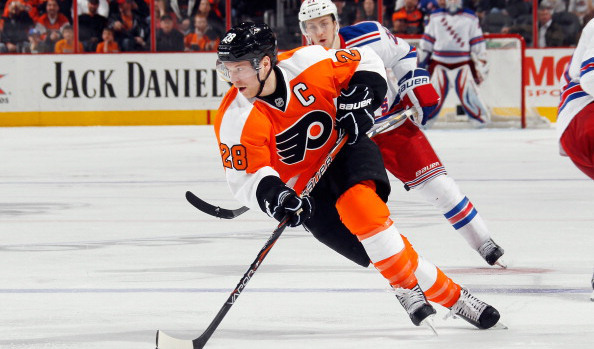 Giroux made no shorthanded points by shorthanded goals last season. He took a total of 223 shots in the last season of NHL and scored 1 overtime goal and 7 match-winning goals while achieving the shooting percentage of 12.6. Giroux spent an average of 20:26 minutes on ice per game and obtained 52.9 faceoff win percentage with 25.1 average shifts per game. Canadian ice hockey Centre and Right Wing Tyler Seguin plays for the Dallas Stars of the National Hockey League. Seguin was drafted 2nd overall in the 2010 NHL Entry Draft by the Boston Bruins. He played 80 games in the last season of National Hockey League and scored a total of 84 points with 37 goals and 47 assists, and made the individual goal differential of +16. He scored 25 power play points with 11 power-play goals and also completed 18 penalty minutes. Seguin made no shorthanded points by shorthanded goals last season. He took a total of 294 shots in the last season of NHL and scored no overtime goal, but 8 match-winning goals while achieving the shooting percentage of 12.6. Seguin spent an average of 19:20 minutes on ice per game and achieved 41.5 faceoff win percentage with 23.4 average shifts per game. 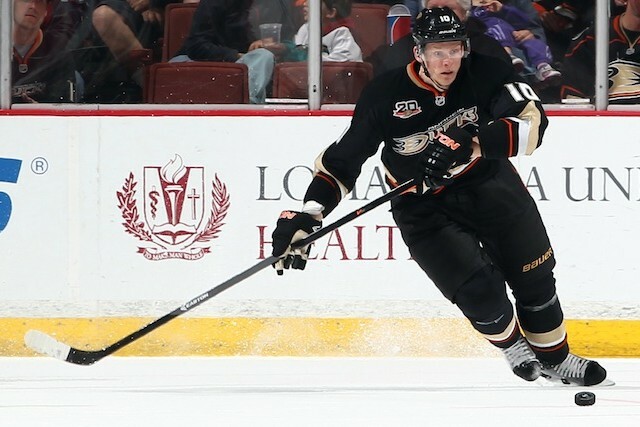 Canadian ice hockey winger and an alternate captain Corey Perry plays for the Anaheim Ducks of the National Hockey League. Perry was drafted 28th overall in the 2003 NHL Entry Draft by the Mighty Ducks of Anaheim. He played 81 games in the last season of National Hockey League and scored a total of 82 points with 43 goals and 39 assists, and made the individual goal differential of +32. He scored 18 power play points with 8 power-play goals and also reached 65 penalty minutes. Perry made no shorthanded points by shorthanded goals last season. He took a total of 280 shots in the last season of NHL and scored 1 overtime goal and 9 match-winning goals while achieving the shooting percentage of 15.4. Perry spent an average of 19:28 minutes on ice per game and achieved 36.0 faceoff win percentage with 23.2 average shifts per game. Canadian ice hockey right wing and forward Phil Kessel plays for the Toronto Maple Leafs of the National Hockey League. Kessel was drafted fifth-overall in the 2006 NHL Entry Draft by the Boston Bruins. He played 82 games in the last season of National Hockey League and scored a total of 80 points with 37 goals and 43 assists, and made the individual goal differential of -5. He scored 20 power play points with 8 power-play goals and also reached 27 penalty minutes. 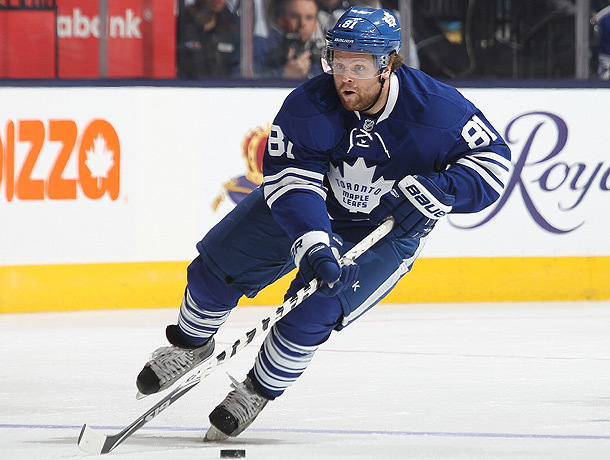 Kessel made no shorthanded points by shorthanded goals last season. He took a total of 305 shots in the last season of NHL and scored no overtime goal, but 6 match-winning goals while achieving the shooting percentage of 12.1. Kessel spent an average of 20:39 minutes on ice per game and achieved 14.3 faceoff win percentage with 24.5 average shifts per game. 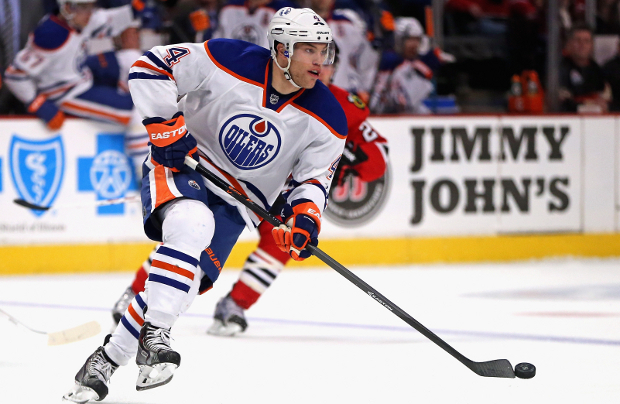 Canadian ice hockey left winger and alternate captain Taylor Hall plays for the Edmonton Oilers of the National Hockey League. Taylor was drafted first overall in the 2010 NHL Entry Draft by the Edmonton Oilers. He played 75 games in the last season of National Hockey League and scored a total of 80 points with 27 goals and 53 assists, and made the individual goal differential of -15. He scored 17 power play points with 7 power-play goals and also completed 44 penalty minutes. Taylor made 1 shorthanded point but no shorthanded goals last season. He took a total of 250 shots in the last season of NHL and scored 1 overtime goal and 1 match winning goals while achieving the shooting percentage of 10.8. Taylor spent an average of 20:00 minutes on ice per game and achieved 45.7 faceoff win percentage with 25.4 average shifts per game. Russian professional ice hockey winger and Captain Alex Ovechkin play for the Washington Capitals of the National Hockey League. 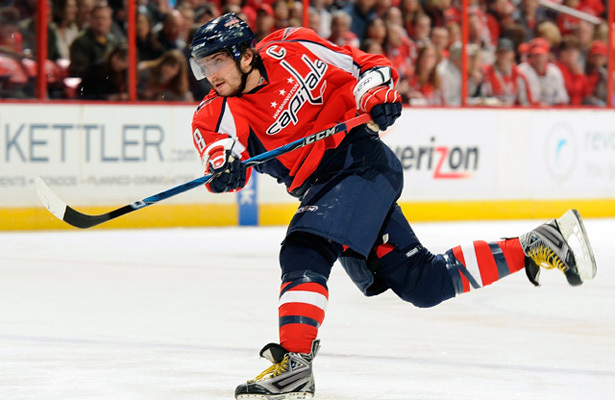 Ovechkin was drafted first overall in the 2004 NHL Entry Draft by the Washington Capitals. He played 78 games in the last season of National Hockey League and scored a total of 79 points with 51 goals and 28 assists, and made the individual goal differential of -35. He scored 39 power play points with 24 power-play goals and also reached 48 penalty minutes. Ovechkin made 1 shorthanded point but no shorthanded goals last season. He took a total of 386 shots in the last season of NHL and scored 3 overtime goals and 10 match-winning goals while achieving the shooting percentage of 13.2. Ovechkin spent an average of 20:32 minutes on ice per game and achieved 66.7 faceoff win percentage with 21.8 average shifts per game. American professional ice hockey center and alternate captain Joe Pavelski plays for the San Jose Sharks of the National Hockey League. Pavelski was drafted 205th overall in the 2003 NHL Entry Draft by the San Jose Sharks. He played 82 games in the last season of National Hockey League and scored a total of 79 points with 41 goals and 38 assists, and made the individual goal differential of +23. 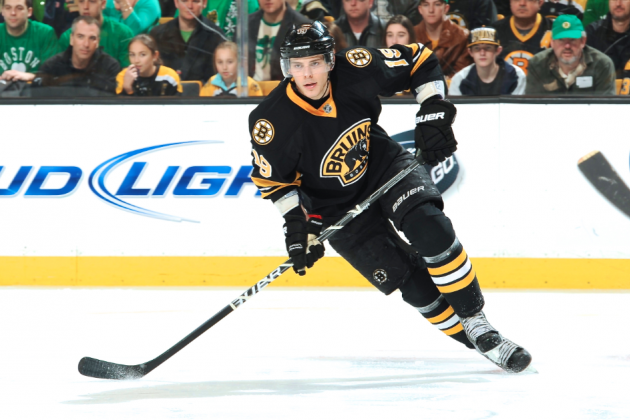 He scored 31 power play points with 16 power-play goals and also reached 32 penalty minutes. 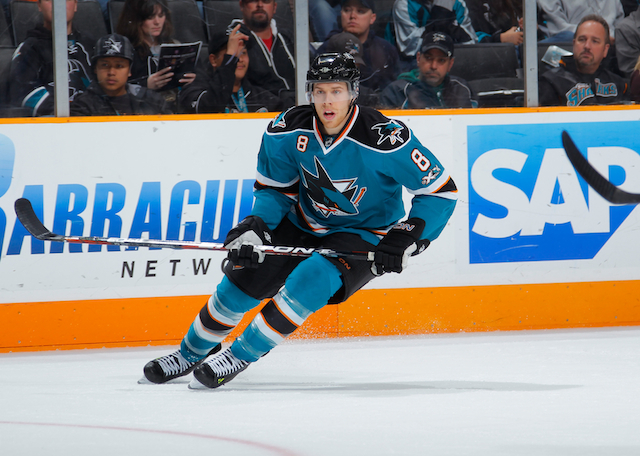 Pavelski made 2 shorthanded points and 1 shorthanded goal last season. He took a total of 225 shots in the last season of NHL and scored no overtime goal, but 3 match-winning goals while achieving the shooting percentage of 18.2. Pavelski spent an average of 19:51 minutes on ice per game and achieved 56.0 faceoff win percentage with 27.1 average shifts per game. 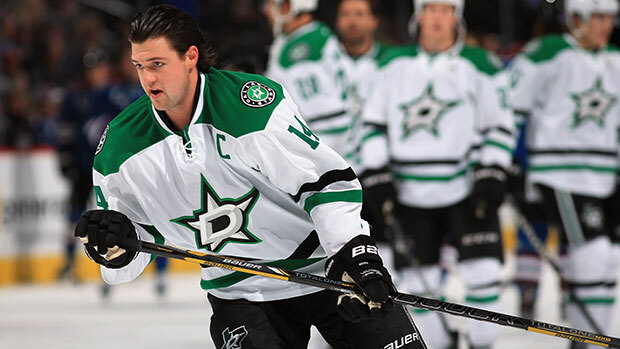 Canadian ice hockey left winger and captain Jamie Benn plays for the Dallas Stars of the National Hockey League. Jamie was drafted 129th overall in the 2007 NHL Entry Draft by the Dallas Stars. He played 81 games in the last season of National Hockey League and scored a total of 79 points with 34 goals and 45 assists, and made the individual goal differential of +21. He scored 19 power play points with 5 power-play goals and also reached 64 penalty minutes. Jamie made 3 shorthanded points with 1 shorthanded goal last season. He took a total of 279 shots in the last season of NHL and scored 1 overtime goal and 3 match-winning goals while achieving the shooting percentage of 12.2. Jamie spent an average of 19:09 minutes on ice per game and achieved 52.8 faceoff win percentage with 25.0 average shifts per game. There are many famous and skillful players who performed extremely well in last season of Major League Baseball. The baseball world has already seen some extremely talented player who achieved the height of success they deserve for their skill. Our team did the thorough research of each match and statistics of all the players and made the inductees of this year’s Baseball Hall Of Fame. ESPN ratings and Elias ratings along with the overall average rating of MLB also played a key role while choosing the members of this year’s hall of fame. Starting from hitter to the outfielders along with each positional player of the each team, fans of MLB enjoyed the performance of successful players of these players who made a special place at the heart of all the sports followers around the world. So here are the inductees of the Baseball Hall Of Fame 2015. 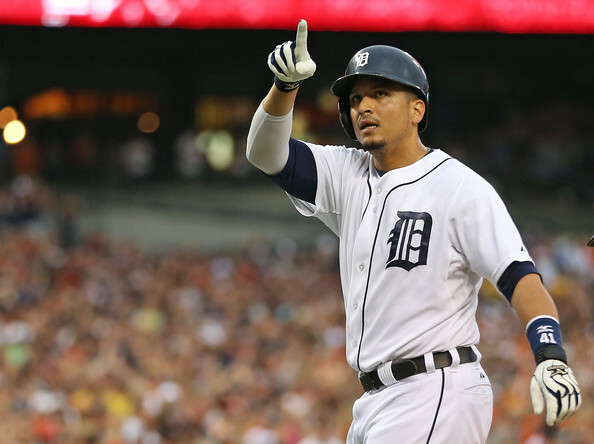 Venezuelan baseball designated hitter Victor “V-Mart” Martinez plays for the Detroit Tigers of Major League Baseball and previously played for the Boston Red Sox and the Cleveland Indians. He was 561 at bats in 2014 season of MLB and scored 87 runs in 188 hits with a batting average of .335. Martinez made 103 runs batted in and reached 32 home runs also in recent season of MLB till date. He gained 317 total bases and 70 walks with an on-base percentage of .409. He also achieved 3 stolen bases and caught stealing twice. With his current year’s MLB performance, Martinez scored 79.5 in ESPN rating system, 92.2 in Elias Rating and made an average overall ranking of 5.5. He obtained the top place in ESPN rating table, fifth place in Elias rating table and second place in MLB Average Player Rating table. American baseball outfielder Mike “The Millville Meteor” Trout plays for the Los Angeles Angels of Anaheim of Major League Baseball and previously played college baseball for the East Carolina University. He was 602 at bats in 2014 season of MLB and scored 115 runs in 173 hits with a batting average of .287. Trout made 111 runs batted in and achieved 36 home runs also in recent season of MLB till date. He completed 338 total bases and 83 walks with an on-base percentage of .377. He also completed 16 stolen bases and caught stealing twice. With his current year’s MLB performance, Trout scored 79.4 in ESPN rating system, 97.7 in Elias Rating and made an average overall ranking of 1.5. He obtained the second place in ESPN rating table, second place in Elias rating table and top place in MLB Average Player Rating table. Venezuelan baseball first baseman Miguel “Miggy” Cabrera plays for the Detroit Tigers of Major League Baseball and previously played for the Florida Marlins from 2003 to 2007. He was 611 at bats in 2014 season of MLB and scored 101 runs in 191 hits with a batting average of .313. 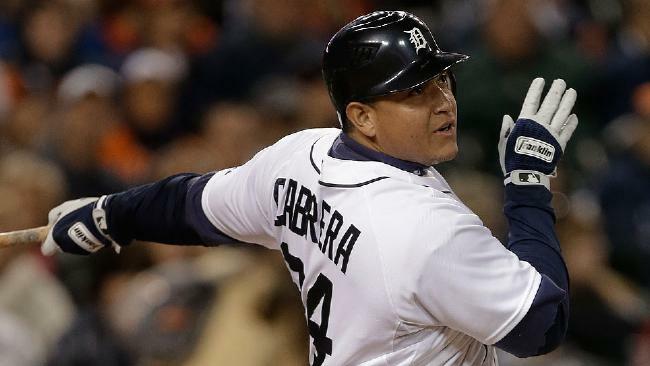 Cabrera made 109 runs batted in and reached 25 home runs also in recent season of MLB till date. He reached 320 total bases and 60 walks with an on-base percentage of .371. He also achieved 1 stolen bases and caught stealing once. With his current year’s MLB performance, Cabrera scored 76.0 in ESPN rating system, 91.9 in Elias Rating and made an average overall ranking of 7.0. He obtained the third place in ESPN rating table, sixth place in Elias rating table and fifth place in MLB Average Player Rating table. American baseball outfielder Michael “Dr. 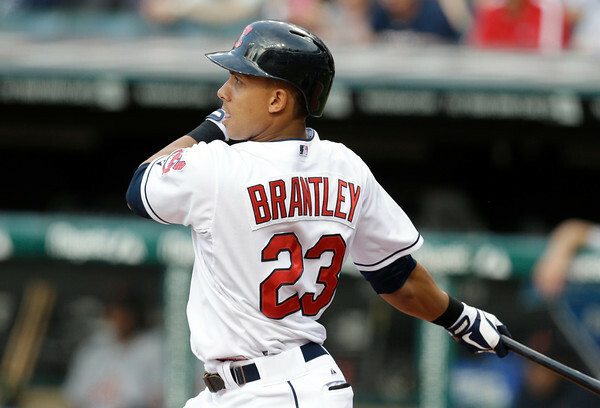 Smooth “Brantley is the son of former MLB player and Coach Mickey Brantley and plays for the Cleveland Indians of Major League Baseball. He was 611 at bats in 2014 season of MLB and scored 94 runs in 200 hits with a batting average of .327. Brantley made 97 runs batted in and reached 20 home runs also in recent season of MLB till date. He achieved 309 total bases and 52 walks with an on-base percentage of .385. He also completed 23 stolen bases and caught stealing once. With his current year’s MLB performance, Brantley scored 74.8 in ESPN rating system, 90.6 in Elias Rating and made an average overall ranking of 9.0. He reached the fourth place in ESPN rating table, eighth place in Elias rating table and sixth place in MLB Average Player Rating table. American baseball center fielder Andrew “Cutch” McCutchen plays for the Pittsburgh Pirates of Major League Baseball and won the 2013 National League Most Valuable Player Award. He was 548 at bats in 2014 season of MLB and scored 89 runs in 172 hits with a batting average of .314. 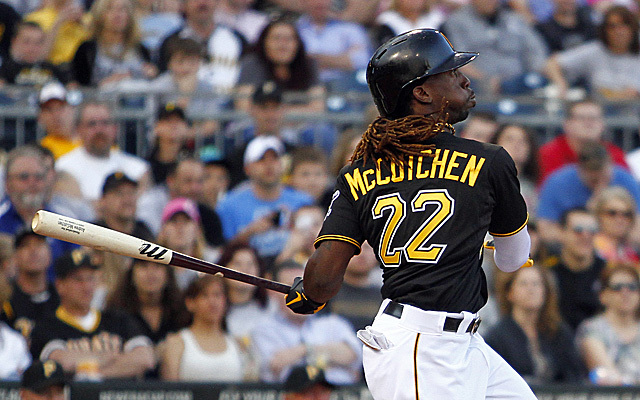 McCutchen made 83 runs batted in and reached 25 home runs also in recent season of MLB till date. He achieved 297 total bases and 84 walks with an on-base percentage of .410. He also completed 18 stolen bases and caught stealing three times. With his current year’s MLB performance, McCutchen scored 72.7 in ESPN rating system, 93.3 in Elias Rating and made an average overall ranking of 6.0. He reached the fifth place in ESPN rating table, third place in Elias rating table and fourth place in MLB Average Player Rating table. Cuban professional baseball first baseman and twice AL Player of the Month Jose Abreu plays for the Chicago White Sox of Major League Baseball and played for Cienfuegos in the Cuban National Series. He was 556 at bats in 2014 season of MLB and scored 80 runs in 176 hits with a batting average of .317. 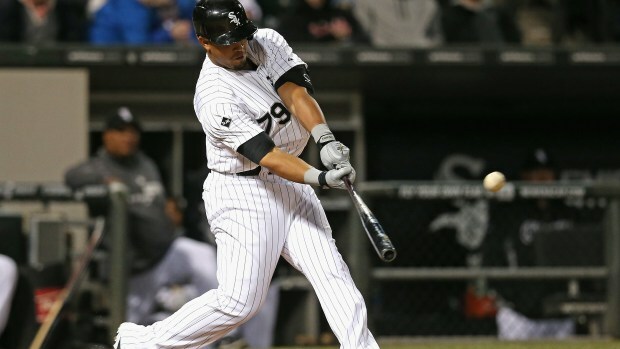 Abreu made 107 runs batted in and reached 36 home runs also in recent season of MLB till date. He achieved 323 total bases and 51 walks with an on-base percentage of .383. He also completed 3 stolen bases and caught stealing once. With his current year’s MLB performance, Abreu scored 71.9 in ESPN rating system, 89.8 in Elias Rating and made an average overall ranking of 13.5. He reached the sixth place in ESPN rating table, tenth place in Elias rating table and seventh place in MLB Average Player Rating table. Dominican baseball right fielder Jose Bautista plays for the Toronto Blue Jays of Major League Baseball and has been named the Player of the Month on five different occasions. He was 553 at bats in 2014 season of MLB and scored 101 runs in 158 hits with a batting average of .286. Bautista made 103 runs batted in and reached 35 home runs also in recent season of MLB till date. He achieved 290 total bases and 104 walks with an on-base percentage of .403. He also completed 6 stolen bases and caught stealing twice. 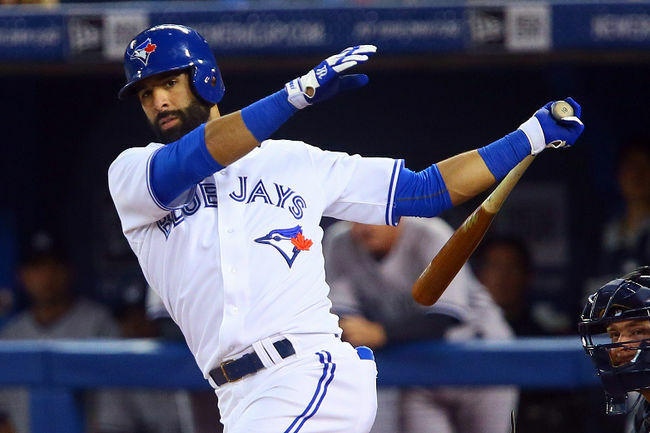 With his current year’s MLB performance, Bautista scored 71.5 in ESPN rating system, 88.4 in Elias Rating and made an average overall ranking of 17.5. He obtained the seventh place in ESPN rating table, fifteenth place in Elias rating table and tenth place in MLB Average Player Rating table. American baseball outfielder Giancarlo “Mike” Stanton plays for the Miami Marlins of Major League Baseball and first appeared for the Marlins in the 2010 season. He was 539 at bats in 2014 season of MLB and scored 89 runs in 155 hits with a batting average of .288. 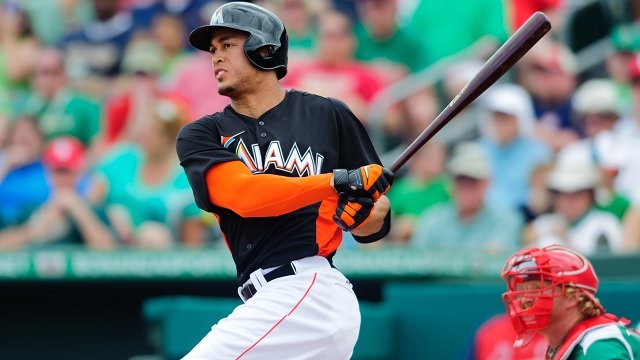 Stanton made 105 runs batted in and reached 37 home runs also in recent season of MLB till date. He achieved 299 total bases and 94 walks with an on-base percentage of .395. He also reached 13 stolen bases and caught stealing once. With his current year’s MLB performance, Stanton scored 69.7 in ESPN rating system, 95.0 in Elias Rating and made an average overall ranking of 6.0. He reached the eighth place in ESPN rating table, second place in Elias rating table and third place in MLB Average Player Rating table. 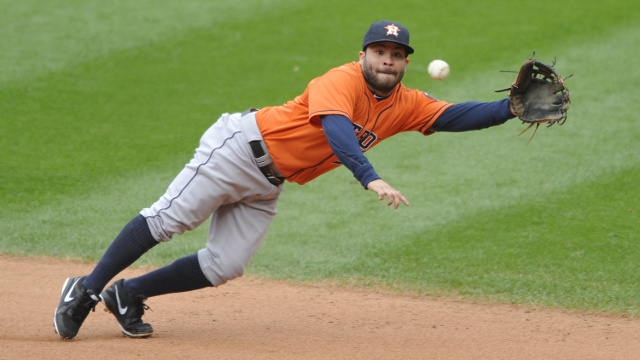 Venezuelan baseball second baseman Jose Altuve is the shortest active MLB player at 5 feet 5 inches and plays for the Houston Astros of Major League Baseball. He was 660 at bats in 2014 season of MLB and scored 85 runs in 225 hits with a batting average of .341. Altuve made 59 runs batted in and achieved 7 home runs also in recent season of MLB till date. He gained 299 total bases and 36 walks with an on-base percentage of .377. He also completed 56 stolen bases and caught stealing nine times. With his current year’s MLB performance, Altuve scored 59.9 in ESPN rating system, 83.0 in Elias Rating and made an average overall ranking of 31.0. He reached the ninth place in ESPN rating table, 27th place in Elias rating table and sixteenth place in MLB Average Player Rating table. 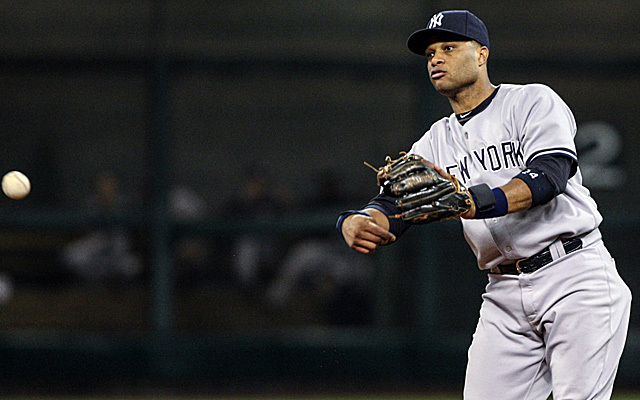 Dominican-American baseball second baseman Robinson Cano plays for the Seattle Mariners of Major League Baseball and previously played for the New York Yankees from 2005 to 2013. He was 595 at bats in 2014 season of MLB and scored 77 runs in 187 hits with a batting average of .314. Robinson made 82 runs batted in and achieved 14 home runs also in recent season of MLB till date. He gained 270 total bases and 61 walks with an on-base percentage of .382. He also reached 10 stolen bases and caught stealing three times. With his current year’s MLB performance, Robinson scored 58.8 in ESPN rating system, 76.6 in Elias Rating and made an average overall ranking of 52.5. He reached the tenth place in ESPN rating table, 48th place in Elias rating table and 28th place in MLB Average Player Rating table. The fan world of basketball has seen some amazing players last season showing their breathtaking skills on the basketball field while playing games full of adrenaline in front of a huge crowd. Starting from the recent legendary players like LeBron James and Kevin Durant till the rookies of last season, all the players of each team tried their best while showing their shooting skills with the ball to achieve a special place in the hearts of the fans and also to achieve great height of success as the legendary Michael Jordan or Karim Abdul Jabbar did in the past. Our team tracked all the statistics of the players of each team while choosing this year’s hall of fame. Some important statistics like total points scored in the season, assist-to-turnover ratio and NBA efficiency rating also played a key role while selecting the inductees of the hall of fame. Many players scored huge points throughout the last season of NBA and established themselves as the hall of famers, so here is the Basketball Players Hall of Fame 2015. American basketball small forward and power forward Kevin Durant plays for the Oklahoma City Thunder of the NBA. He played a total of 3122 minutes in 81 games in the last season of NBA while scoring 2593 points and made 849 field goals in 1688 field goal attempts with the field goal percentage of 50.3. He made a total of 192 three-point field goals out of 491 three-point field goal attempts with the three-point field goal percentage of 39.1. Durant made 703 free throws out of 805 free throw attempts with the percentage of 87.3. He also reached a total of 598 rebounds out of which 58 are offensive, and 540 are defensive rebounds. He made a total of 445 assists and 285 turnovers with 103 steals and 59 blocks and made 174 personal fouls. 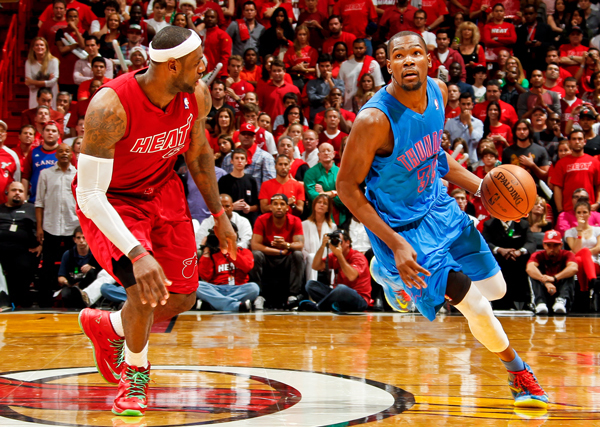 Durant obtained assist-to-turnover ratio of 1.56, steal-to-turnover ratio of 0.36 and achieved 2572 NBA efficiency rating. 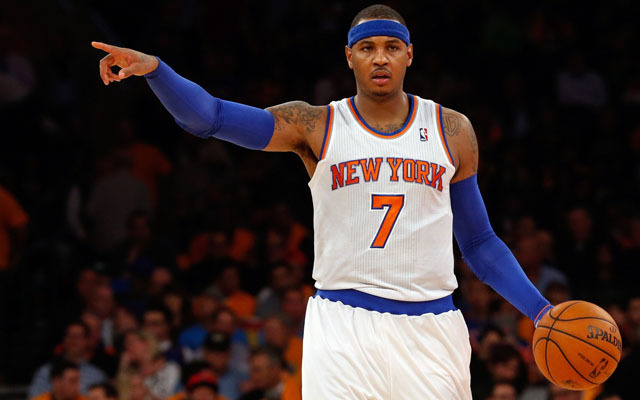 American basketball small forward and power forward Carmelo Anthony plays for the New York Knicks of the NBA. He played a total of 2982 minutes in 77 games in the last season of NBA while scoring 2112 points and made 743 field goals in 1643 field goal attempts with the field goal percentage of 45.2. He made a total of 167 three-point field goals out of 415 three-point field goal attempts with the three-point field goal percentage of 40.2. Anthony made 459 free throws out of 541 free throw attempts with the percentage of 84.8. He also reached a total of 622 rebounds out of which 145 are offensive, and 477 are defensive rebounds. He made a total of 242 assists and 198 turnovers with 95 steals and 51 blocks and made 224 personal fouls. Anthony achieved assist-to-turnover ratio of 1.22, steal-to-turnover ratio of 0.48 and achieved 1942 NBA efficiency rating. American basketball small forward and power forward LeBron James plays for the Cleveland Cavaliers of the NBA. He played a total of 2902 minutes in 77 games in the last season of NBA while scoring 2089 points and made 767 field goals in 1353 field goal attempts with the field goal percentage of 56.7. He made a total of 116 three-point field goals out of 306 three-point field goal attempts with the three-point field goal percentage of 37.9. 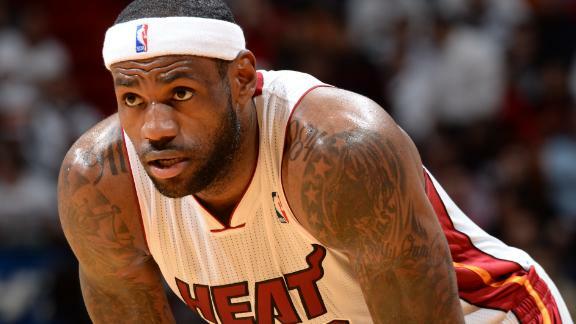 LeBron made 439 free throws out of 585 free throw attempts with the percentage of 75.0. He also gained a total of 533 rebounds out of which 81 are offensive, and 452 are defensive rebounds. He made a total of 488 assists, and 270 turnovers with 121 steals and 26 blocks and made 126 personal fouls. LeBron achieved assist-to-turnover ratio of 1.81, steal-to-turnover ratio of 0.45 and achieved 2255 NBA efficiency rating. 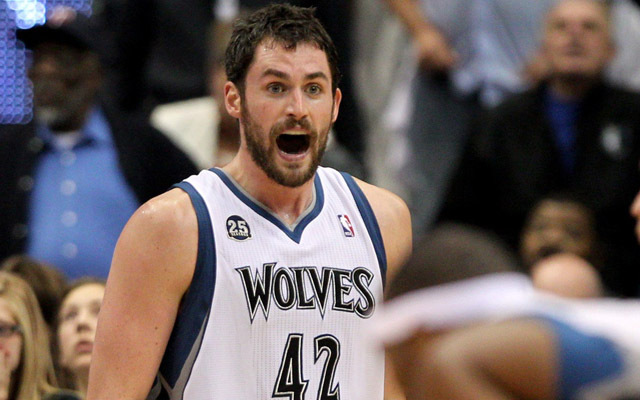 American basketball Center and power forward Kevin Love plays for the Cleveland Cavaliers of the NBA. He played a total of 2797 minutes in 77 games in the last season of NBA while scoring 2010 points and made 650 field goals in 1421 field goal attempts with the field goal percentage of 45.7. He made a total of 190 three-point field goals out of 505 three-point field goal attempts with the three-point field goal percentage of 37.6. Kevin made 520 free throws out of 633 free throw attempts with the percentage of 82.1. He also completed a total of 963 rebounds out of which 224 are offensive, and 739 are defensive rebounds. He made a total of 341 assists and 196 turnovers with 59 steals and 35 blocks and made 136 personal fouls. Kevin obtained assist-to-turnover ratio of 1.74, steal-to-turnover ratio of 0.30 and achieved 2328 NBA efficiency rating. American basketball power forward Blake Griffin plays for the Los Angeles Clippers of the NBA. He played a total of 2863 minutes in 80 games in the last season of NBA while scoring 1930 points and made 718 field goals in 1359 field goal attempts with the field goal percentage of 52.8. He made a total of 12 three-point field goals out of 44 three-point field goal attempts with the three-point field goal percentage of 27.3. Griffin made 482 free throws out of 674 free throw attempts with the percentage of 71.5. He also completed a total of 757 rebounds out of which 192 are offensive, and 565 are defensive rebounds. He made a total of 309 assists and 224 turnovers with 92 steals and 51 blocks and made 265 personal fouls. 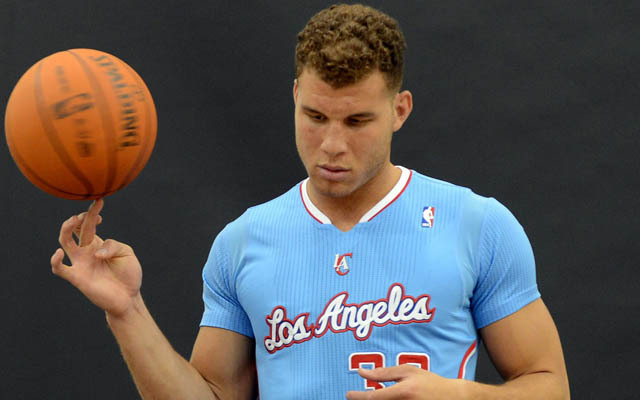 Griffin reached assist-to-turnover ratio of 1.38, steal-to-turnover ratio of 0.41 and gained 2082 NBA efficiency rating. American basketball Point guard Stephen Curry plays for the Golden State Warriors of the NBA. He played a total of 2846 minutes in 78 games in the last season of NBA while scoring 1873 points and made 652 field goals in 1383 field goal attempts with the field goal percentage of 47.1. He made a total of 261 three-point field goals out of 615 three-point field goal attempts with the three-point field goal percentage of 42.4. 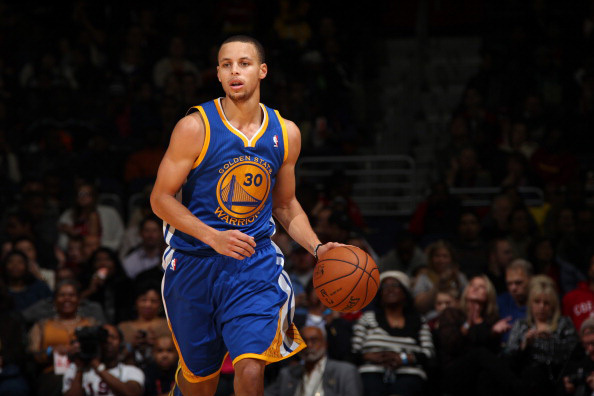 Stephen made 308 free throws out of 348 free throw attempts with the percentage of 88.5. He also reached a total of 334 rebounds out of which 46 are offensive, and 288 are defensive rebounds. He made a total of 666 assists, and 294 turnovers with 128 steals and 14 blocks and made 194 personal fouls. Stephen obtained assist-to-turnover ratio of 2.27, steal-to-turnover ratio of 0.44 and achieved 1950 NBA efficiency rating. 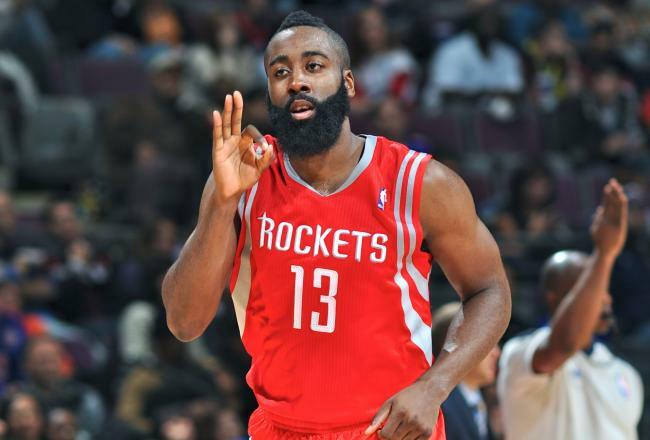 American basketball shooting guard James Harden plays for the Houston Rockets of the NBA. He played a total of 2777 minutes in 73 games in the last season of NBA while scoring 1851 points and made 549 field goals in 1205 field goal attempts with the field goal percentage of 45.6. He made a total of 177 three-point field goals out of 483 three-point field goal attempts with the three-point field goal percentage of 36.6. Harden made 576 free throws out of 665 free throw attempts with the percentage of 86.6. He also completed a total of 344 rebounds out of which 61 are offensive, and 283 are defensive rebounds. He made a total of 446 assists, and 265 turnovers with 115 steals and 29 blocks and made 177 personal fouls. Harden achieved assist-to-turnover ratio of 1.68, steal-to-turnover ratio of 0.43 and achieved 1775 NBA efficiency rating. 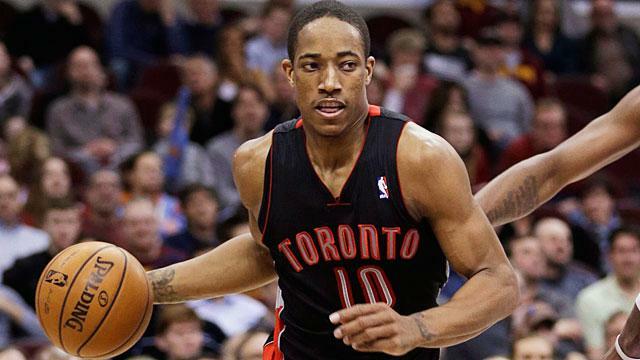 American basketball Shooting guard and Small forward DeMar DeRozan plays for the Toronto Raptors of the NBA. He played a total of 3017 minutes in 79 games in the last season of NBA while scoring 1791 points and made 604 field goals in 1407 field goal attempts with the field goal percentage of 42.9. He made a total of 64 three-point field goals out of 210 three-point field goal attempts with the three-point field goal percentage of 30.5. DeRozan made 519 free throws out of 630 free throw attempts with the percentage of 82.4. He also completed a total of 343 rebounds out of which 51 are offensive, and 292 are defensive rebounds. He made a total of 313 assists, and 176 turnovers with 86 steals and 28 blocks and made 197 personal fouls. DeRozan achieved assist-to-turnover ratio of 1.78, steal-to-turnover ratio of 0.49 and achieved 1471 NBA efficiency rating. 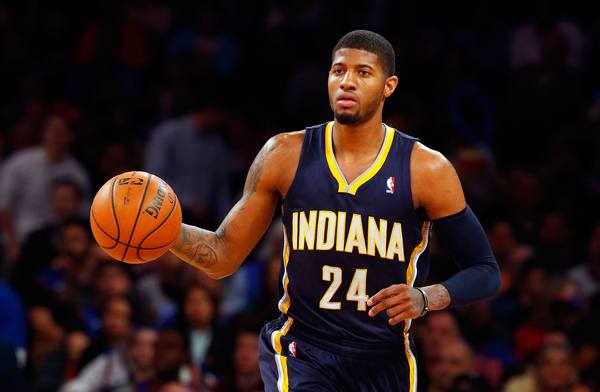 American basketball Shooting guard and Small forward Paul George plays for the Indiana Pacers of the NBA. He played a total of 2898 minutes in 80 games in the last season of NBA while scoring 1737 points and made 577 field goals in 1362 field goal attempts with the field goal percentage of 42.4. He made a total of 182 three-point field goals out of 500 three-point field goal attempts with the three-point field goal percentage of 36.4. George made 401 free throws out of 464 free throw attempts with the percentage of 86.4. He also reached a total of 542 rebounds out of which 64 are offensive, and 478 are defensive rebounds. He made a total of 283 assists, and 224 turnovers with 151 steals and 22 blocks and made 198 personal fouls. George obtained assist-to-turnover ratio of 1.26, steal-to-turnover ratio of 0.67 and achieved 1663 NBA efficiency rating. 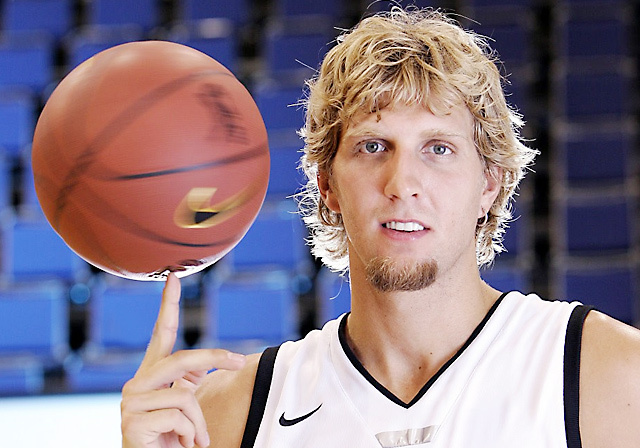 German professional basketball Power forward Dirk Nowitzki plays for the Dallas Mavericks of the NBA. He played a total of 2628 minutes in 80 games in the last season of NBA while scoring 1735 points and made 633 field goals in 1273 field goal attempts with the field goal percentage of 49.7. He made a total of 131 three-point field goals out of 329 three-point field goal attempts with the three-point field goal percentage of 39.8. Nowitzki made 338 free throws out of 376 free throw attempts with the percentage of 89.9. He also achieved a total of 498 rebounds out of which 40 are offensive, and 458 are defensive rebounds. He made a total of 216 assists and 117 turnovers with 73 steals and 45 blocks and made 165 personal fouls. Nowitzki achieved assist-to-turnover ratio of 1.85, steal-to-turnover ratio of 0.62 and achieved 1772 NBA efficiency rating. Cricket is often called the gentleman’s game. It is originally a slow-paced sport full of techniques and a lot of grammar, and requires patience. 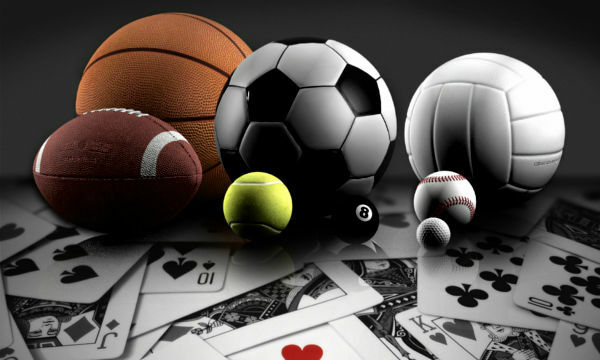 However, the sport has indeed changed and evolved through the years. The most important change has been in the pace and durations of the matches. What used to be 5-day Test matches became One Day matches, and are now played in the whole new Twenty-20 format. There is a new found speed, aggression and thrill in the game. But, the game of cricket has never been devoid of aggression altogether. Accidents have always been a part of cricket, and have sent many players to the hospital. Some have sustained severe injuries. Many have died. 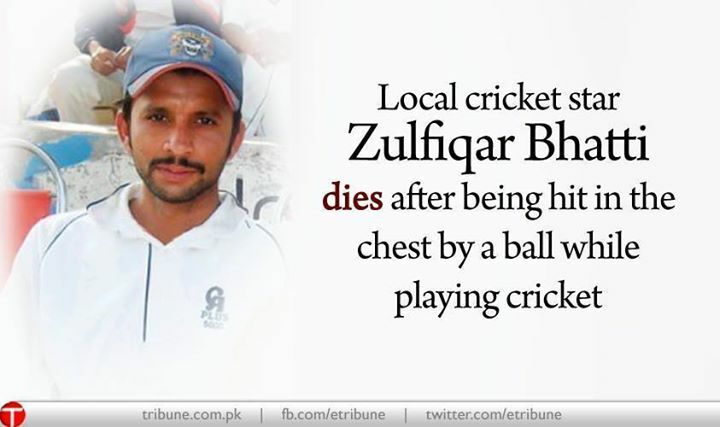 Let us take a look at 10 Cricketers Who Died During Matches. Left-handed opening batsman Phillip Hughes played for Australian Test and One-Day International team. He appeared in domestic cricket for South Australia and Worcestershire, and also spent two seasons with New South Wales. In 2009, he was debuted in test cricket at the age of 20. On 25 November 2014, Phillip Hughes was knocked unconscious during a Sheffield Shield match at the Sydney Cricket Ground by a bouncer delivered by Sean Abbott. The impact of the ball caused a vertebral artery dissection that led to a subarachnoid hemorrhage. 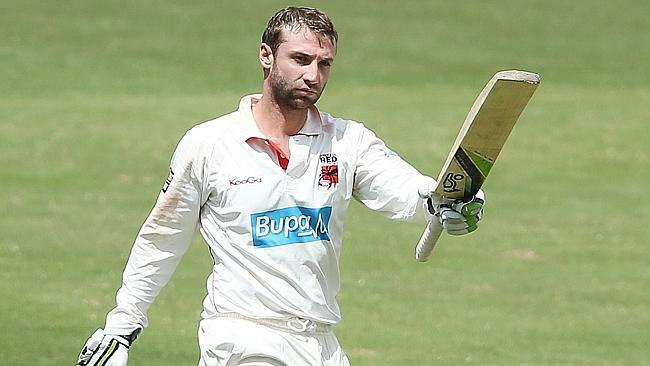 Phillip Hughes was placed into an induced coma while in the intensive care in a critical condition after he was taken to St Vincent’s Hospital. He never regained consciousness and died on 27 November, 2014. Indian batsman Raman Lamba was a member of Indian national cricket team and played four Tests and 32 One Day International matches. Besides his appearances for the Indian team, he also represented Ireland in unofficial One Day International matches. On 20 February 1998 at the Dhaka Bangabandhu Stadium, Raman Lamba was playing against Mohammedan Sporting Club for Dhaka’s leading club Abahani Krira Chakra in the final of the Premier Division cricket match, and was hit on the temple by a cricket ball hit by Mehrab Hossain while fielding at forward short leg in a ball of left arm spinner Saifullah Khan. Because of the furious shot made by Mehrab Hossain, the ball was deflected from his head and was caught by the wicketkeeper Khaled Mashud. On 23 February 1998, Raman Lamba died due to this impact. Cricketer Abdul Aziz was an opening batsman and a wicket keeper who was born, and died, in Karachi, Pakistan. After he completed his study from S. M. College, he started working for the Pakistan State Bank. 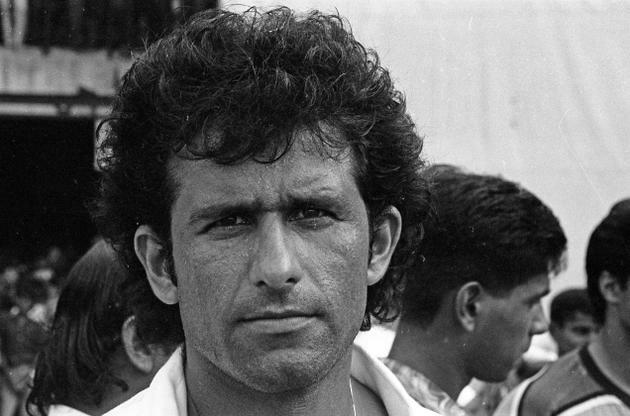 Abdul Aziz appeared in eight first-class matches while being a member of the Karachi team. By a slow off break from Dildwar Awan, He was struck over the heart while he was batting against Pakistan Combined Services in the first-innings of the Quaid-e-Azam final. Aziz when he had just started to take stance for the next ball, but fell to the ground and never regained consciousness. He died because of the impact on 17 January 1959, en route to hospital. 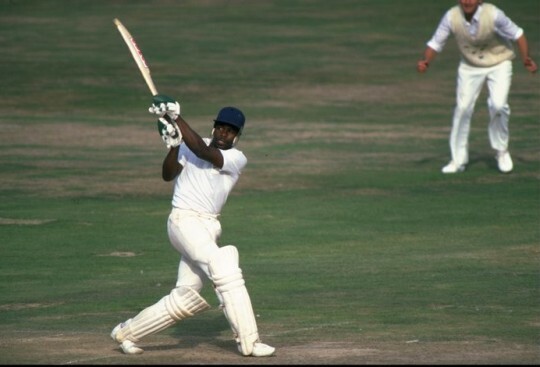 Abdul Aziz in the second innings of the match was recorded as “absent” with a footnote explaining he was hurt but because of the impact, had died. Born on 21 June 1844, English cricketer George Summers was an English cricketer who spent his entire first-class cricket for Nottinghamshire. In 1870, in a match against MCC, He was hit by a short delivery from fast bowler John Platts. George Summers died from his injury due to the impact of the ball four days later on 19 June 1870. After he was carried off the field, he seemed to recover and was not taken to hospital. George Summers died from his injury due to the impact of the ball on 19 June 1870, four days later. 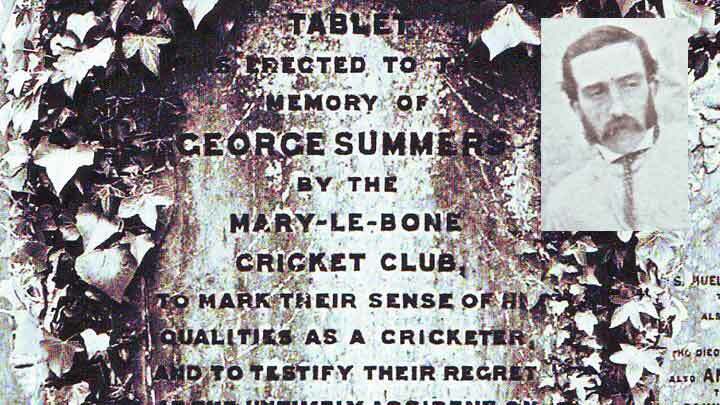 After George Summers’s death, MCC paid for his gravestone and efforts were made to improve Lord’s pitch. As a protest against what he saw as dangerous bowling, the next batsman Richard Daft came out to the wicket with his head wrapped in a towel. Ian Folley, a 30 year old English cricket player, was a right-handed batsman, besides being a left-arm bowler. Though he was originally a medium pacer, he eventually moved on to become a spinner. He received coaching and mentoring for Jack Bond, and after that, he decided to make the switch. 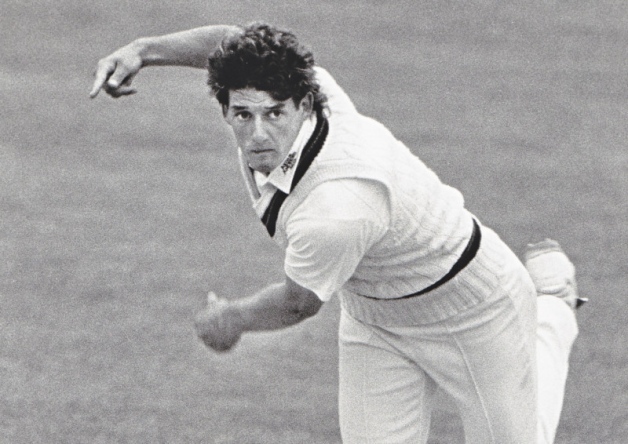 Folley’s career began back in 1982 when he started playing as a seamer for Lancashire, before all this. He successfully took 129 wickets and maintained a bowling average lower than 30 in two seasons. During a match against Workington, Folley got hit underneath his eye while batting, and was immediately taken to the local hospital to get a minor operation so as to get his perforated eyeball repaired. But, on August 30, 1993, while under anesthesia, he underwent a heart attack and breathed his last. He was just 30 years old, then. 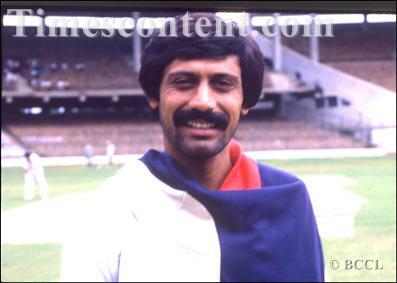 Wasim Raja played for the Pakistani national cricket team from 1973 to 1985. He appeared in 57 Tests and 54 ODIs for the national team. Rameez Raja, his younger brother, also represented Pakistan and became the captain of the national side. Wasim Raja settled in London after marrying Ann, an Englishwoman. He studied from Durham University for a certificate in education. He had a spell teaching at Caterham School in Surrey, and became a coach for the Pakistan Under-19 team. Besides his cricket career, he also made his appearances as an International Cricket Council match referee in 15 Tests and 34 ODIs from 2002 to 2004. Wasim Raja, while playing cricket for the Surrey over-50s side died of a heart attack in Marlow, Buckinghamshire, England in August 2006. 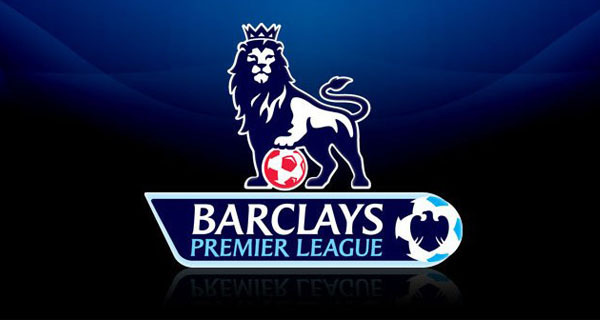 Injuries are an inevitable part of every sport, and every player has to undergo injuries of some intensity or the other. While many of the injuries are inflicted by the player upon himself, many wounds are also caused by another player, though in an absolutely unintentional way. 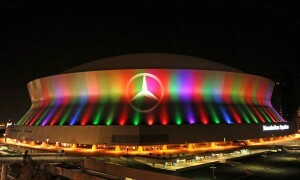 That is why, a severe injury or death on the ground can leave teammates as well as the opponents deeply scarred. While a player should always be careful, but accidental injuries can never fully be eliminated from any sport.